This site has already given a lot of deserved attention to this year’s USTA Wildcard Playoff Runner-up, Jack Sock. And practically every other tennis site has already given a lot of deserved attention to the WC winner (for two straight years), Ryan Harrison. 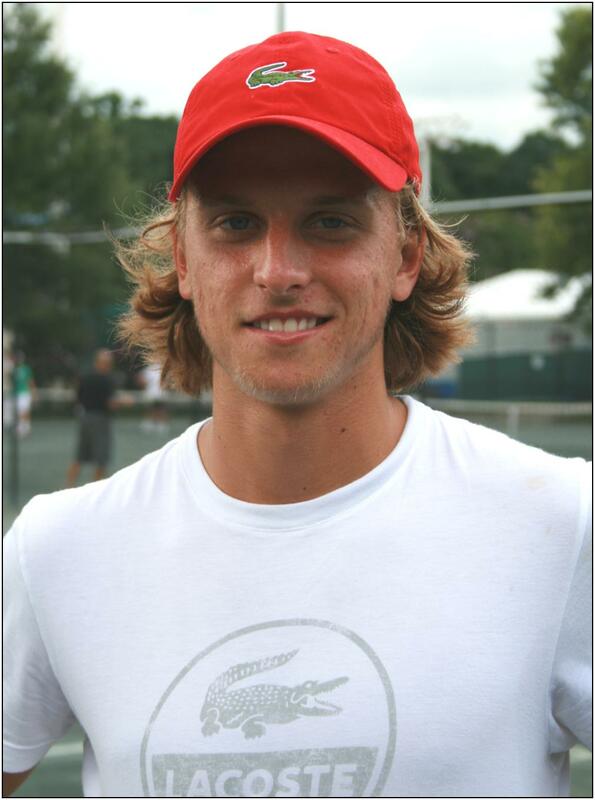 But spare a thought for 18 year-old semifinalist Denis Kudla, won’t you? After all, he was the top-ranked U.S. junior, and he’s the guy ranked almost 400 spots higher than that guy who beat him in the semis (Sock won 6-2 7-5). 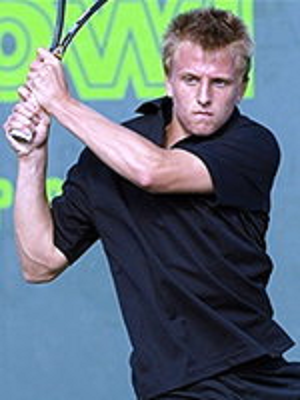 For that – and a whole bunch of other reasons – Denis Kudla is a 2011 Challenger Tennis Player To Watch. Let’s start at the end: the end of last year, when Denis won two of his final three junior tournaments of 2009 (and he might have run the table had he not had to retire at 0-2 in the 3rd set of his R16 Orange Bowl match). 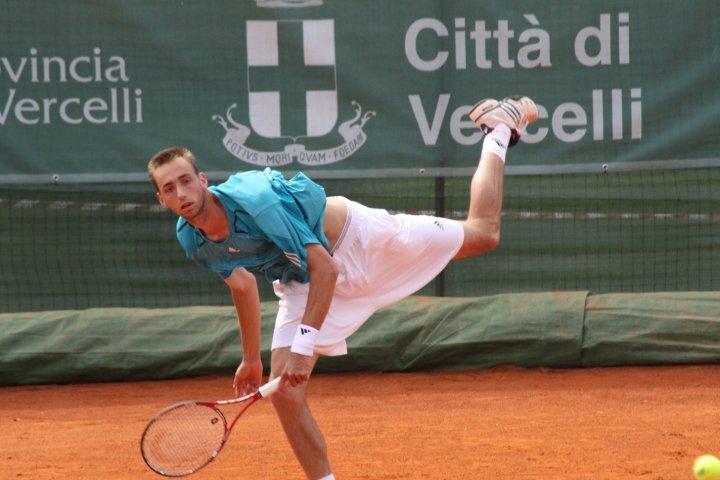 And these weren’t just any old tournaments; Kudla took the titles at the Eddie Herr International, where he beat Marton Fucsovics in a gutsy three-set showing, and the Grade A Casablanca Junior Cup, where he beat then #1 world junior Juan Sebastian Gomez 7-6(6) 6-2. Part of this new, aggressive mindset has to be due to Kudla’s pure physical transformation in the past year or so. Which is a fancy way of saying: he’s grown a lot. He’s become stronger and he’s filled out some. One of the reasons I’m so sold on Denis’ potential is he’s a bit of a late bloomer, physically, and yet he’s still been able to get big-time results. While a kid like Jack Sock was already a fairly hulking specimen at 16/17 years old and may not have much more growing to do, one only has to see the difference between Denis now and, say, a year ago to conclude he’s just beginning to hit his physical stride, and may have a fair farther distance to travel down that road. So if he’s getting these kinds of results while not being near his full physical potential, well – look out, tour, I say. Another great thing about Kudla is his work ethic – I’ve never heard or read one person busting on Denis for not giving his best effort, both on and off the court. Perhaps it’s because he wasn’t a big specimen early that contributed to his scrappiness and his dogged determination, whether it be in drills, in the gym, or grinding through a long rally or match. Regardless, this quality will serve him in good stead as the Kiev-born, Northern Virginia boy tries to weather the sometimes-difficult transition from juniors to pros. Want to hear another reason I’m backing this guy for 2011? Good, because I happen to have one right here: his ambition. Denis wants to be Number One in the world, and to try to win multiple Slams. He doesn’t want be Top 20. He’s not looking to be Top 10. Number one, baby. He aims high, and he believes he can do it. And belief is the foundation of reality, no? His hope at the start of 2010 was to end the year in the Top 200, which is an incredibly bold goal for a 17 year-old ranked outside the Top 1000 to have. He hedged a bit later on and started saying Top 500, which is fine; because that’s where he is now, after a 27/18 season in which he took home his first Futures title in Austin, TX just one month after losing to you know who (Mr. Sock) in the US Open boys final (he’s #494 as of this writing, to be specific). And even though Kudla had to settle for attaining his next-best goal, his current ranking still makes him the second youngest player in the Top 500, behind only Bernard Tomic. But you get the sense that Kudla doesn’t ever want to settle, and that kind of hunger will help him overcome many of the obstacles he’ll face in the upcoming year. Don’t want to take my word for it? I don’t blame you. 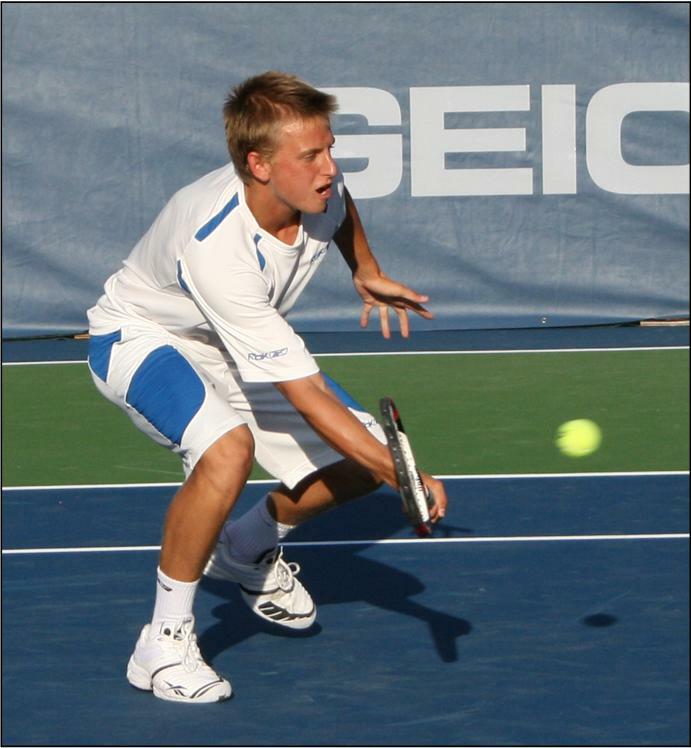 But here’s what Director of USTA Player Development Patrick McEnroe had to say in a special for the USA Today: “Just to see a kid like Denis Kudla battling Saturday and competing the way he did against Jack was really good for him. Even though he lost, he’s getting better and constantly improving.” You see? Even PMac says so. Too bad the video runs out (although Denis probably wishes it did a few seconds before he almost served it over the baseline). Kudla won the TB (and with it the match) 11-9. Well it’s all over for us crazy tennis fans in 2010. The Australian Open Wildcard play-offs have finally come to an end here in Atlanta and I must admit that I already miss my friends, the fans, and the players of this wonderful sport. Personally, this was such an incredible event for me because I was able to meet so many new people who are actively involved in the tennis world in one form or another. I got to know UVA Senior Michael Shabaz since I was the lucky one to pick him up from the airport, and what a terrific guy he is. I found out so much about him (mainly because I can’t keep my big mouth shut and I like to ask a lot of questions). This is what Italian people do by the way, they talk a lot. There is no better way to learn about tennis players then by spending time in the players lounge of any tournament, and the AO WC event was no exception. I was able to talk to, and listen in on many conversations and it was truly so much fun for me as the huge tennis fan that I am. I am a huge sports fan in general, but tennis is undoubtedly one of my faves. In case you haven’t figured it out yet, I also play A LOT of tennis too. Anyway, in the course of one day I met Ryan Harrison, Rhyne Williams, Jack Sock, Melanie Oudin, Coco Vandeweghe, Jamie Hampton, Denis Kudla, Jordan Cox and Tim Smyczek. I learned so many neat things about these players. 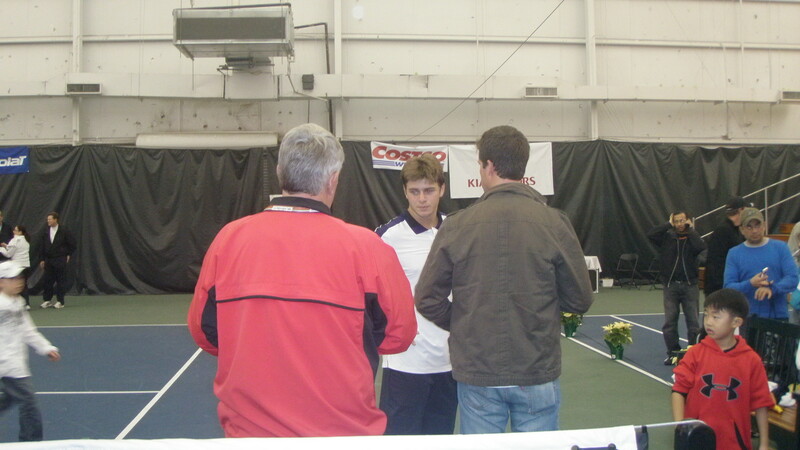 For instance, did you know that Tim Smyczek and John Isner are roommates? They live in Tampa, Fla and train at Saddlebrook together. And they also just played in a charity event up at Marquette University in Milwaukee, where Tim is from. Coco has a mean game of table tennis, Melanie Oudin is such an absolute sweetheart, and Rhyne Williams is one BIG guy! When he got up to play table tennis with Kudla, I was like, “Whooaa dude!” He is very funny by the way. Ryan Harrison on the other hand was a bit harder to get to know, which at first I took for pretention, but learned that this wasn’t the case at all. He is a truly a very nice guy, just very serious about his profession I guess. He was really cracking the jokes on the court and had me in stitches, really. So, I have to save one of new favorite players for last I guess and that couldn’t be anyone else but Jack Sock. Not only is he one of the sweetest young men that you will ever meet, but his whole family and camp are this way. His brother Eric, his aunts and uncles and his coach, Mike Wolf, were just so gracious and appreciative of everything you did for them. They all must have said “thank you” a thousand times and to be honest, I really didn’t think I did anything to help them, not enough anyway. I can’t wait to see all these young players go out and compete again in the near future. The Australian Open cannot come soon enough for me, I can assure you, but we have Auckland (amongst others) to look forward to. 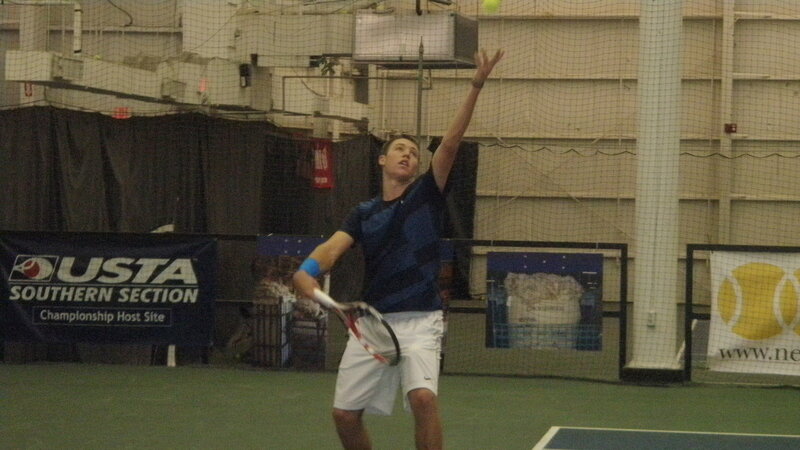 Smyczek, for one, will be going to Auckland by the way, and his “roomie” is the defending champion. When I mentioned to Tim that several top 20 players are now competing in that tournament, he made it very clear that Isner was to have NO problem defending his title. It was very, very cute. I definitely backed off at that point and went and got myself a beer, to which Tim replied, “oh could you get me one as well?” LOL! To which I replied, of course, “Regular or lite?” No, I really didn’t say that; I just said that they all had to go out and play Team Tennis with Patrick McEnroe so it probably wasn’t a good idea. The USTA wildcard playoffs have traditionally* been a showcase of the American tennis “young guns”, but yesterday’s quarterfinal results saw the established order within the up-and-coming ranks get outgunned and, er, outyounged (with apologies to Donald); only one of the top four seeds advanced to today’s semifinals, and even he is merely 18 years of age (third seed Ryan Harrison). Indeed, of the remaining “men”, the oldest among them is 19 year-old University of Tennessee sophomore Rhyne Williams, with the other three just barely out of juniors. Regardless of what happens in today’s matches, if I were General Manager of USTA Player Development Patrick McEnroe I’d be very pleased with this particular quartet. For one thing, Williams’ presence shows that PMac’s pushing the college game more to the fore is by no means a foolhardy endeavor. Moreover, the fact that UVA’s Michael Shabaz fell just short of making it two wins in two matches vs. Harrison shows that college tennis is becoming an increasingly viable option when it comes to helping shape the future of the American professional game. John Isner’s success might not be as anomalous and outlying as the big man’s height is after all. And the ever-more-youthful demarcation even within the up-and-coming demographic here goes some way toward showing that American NextGen is coming up fast. Not to get too carried away on the results of four matches and four individuals, but I’m just saying: as portents go, it’s not half bad. 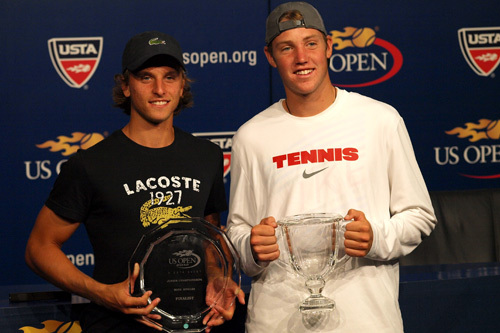 Jack Sock vs. Denis Kudla: Sharp-brained readers and tennis enthusiasts will recall that this is a rematch of the US Open Junior final, which Sock won 3-6 6-2 6-2, but did you know: they’ve already met one more time since then? Of course you didn’t; that’s why you come here to read my wildly informative words! You see, Jack also beat Denis about five weeks ago on clay 7-5 6-4 in the first round of the USA F30 Futures, which is as different a setting from his previous win as can be imagined (this is especially true for people with terrible imaginations). Despite Sock’s recent dominance, Denis is is actually the higher-ranked junior (#21 to Jack’s #32) and professional (#493 to #872). He’s also also older by five weeks, in case you’re wondering. What does this all mean? I have no idea. Suffice it to say that the Kudla, who beat 4th seed Jordan Cox 6-4 6-3 in the previous round, is not going to be a pushover. However – and this is not a prediction in any way – I would not be surprised in the least if the big boy from Lincoln, Nebraska, who upset top-seed Donald Young 7-6(3) 3-6 6-4 in the first round, continued his winning ways here. Either way, should be a heckuva match.